In a Nutshell: An increasing number of retailers and publishers are looking to affiliate marketing as a more trackable, performance-based channel for maximizing consumer engagement. 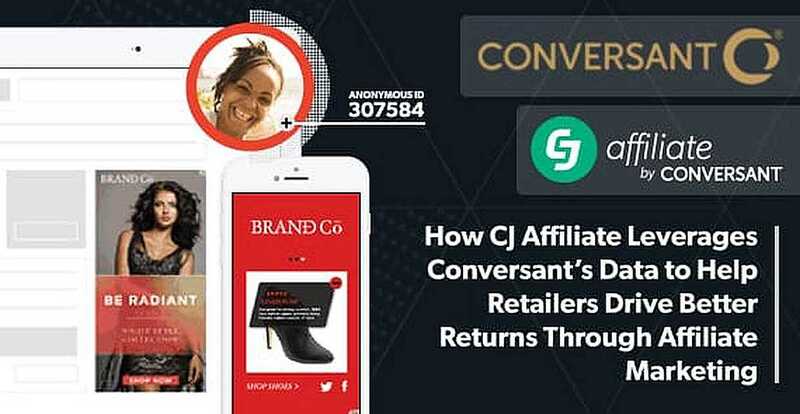 As the world’s largest affiliate marketing network, CJ Affiliate by Conversant fosters connections between advertisers and publishers, enabling them to build mutually beneficial partnerships. The platform’s interface provides tools for versatile account management, consumer insight measurement with cross-device tracking, and integrates powerful personalization data from Conversant. CJ Affiliate seeks to maximize the effectiveness of affiliate marketing by building into the future of personalization. In the digital age, retailers have access to many marketing methods – pay-per-click advertising, content marketing, and social media chief among them. While these channels can increase a retailer’s web traffic, it’s often hard to measure if they’re effectively converting casual browsers into customers. That’s why an increasing number of retailers are turning their eyes – and their marketing dollars — to affiliate relationships. 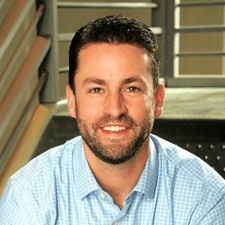 Paul Tibbitt, SVP of Business Development for CJ Affiliate, spoke with us about building affiliate relationships. Unlike pay-per-click (PPC) or pay-per-view (PPV) marketing, affiliate marketing is pay-per-action, guaranteeing retailers only pay publishers for their role in leading customers to take a specific, trackable action like purchasing a product. This performance-based pricing model motivates publishers to drive those actions and maximize their advertisers’ sales, leads, and marketing dollars. Because publishers have their own customer bases, affiliate marketing relationships also give retailers access to a wider target audience, extending their footprint on a global scale. Building on the advantages of affiliate marketing with the personalization of Conversant’s consumer profiles, multi-device tracking technology, and versatile account management tools, CJ Affiliate provides a platform for retailers to optimize their marketing budgets, extend their reach, achieve transparency, and, ultimately, improve their revenue. As retailers seek more efficient marketing strategies and publishers see a drop in banner ad sales and other sources of revenue, both are turning their attention to affiliate marketing. Through the advertiser-publisher relationship, affiliate marketing offers advantages to both. 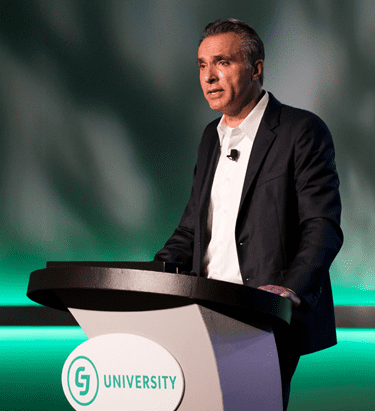 Waleed Al-Atraqchi, President of CJ Affiliate, spoke of the importance of personalization in today’s marketing world. CJ Affiliate’s network platform helps retailers easily identify publishers who are driving the most actions so they can prioritize those relationships. It also connects retailers to publishers with similar goals and target audiences to maximize their compatibility and impact, even as their business goals and needs change over time. CJ Affiliate also works directly with those publishers. In fact, an independent industry report known as Affiliate Benchmarks lists CJ Affiliate as the top network of choice among publishers. Much of that growth has been among content publishers, who, as recently as 2012, made up just 5% of all CJ’s publisher commissions. In 2016, that statistic rose to 20%. By creating a platform that enhances the way affiliate marketing builds relationships between advertisers and publishers, CJ Affiliate is helping each expand professional networks, customer bases, and profits. “I think that’s what makes the channel really unique and exciting,” Paul said. Personalization is the latest trend in omnichannel digital marketing. Finding ways to address customers as individuals and follow their journeys from first interaction with a product to final purchase, across multiple devices and channels, can be challenging for retailers without the right data and tracking tools. With the integration of Conversant’s data, CJ Affiliate’s platform helps its advertisers target their customers more precisely. Pulling anonymous online and offline transaction data from more than 4,000 retailers and tracking consumer actions across 7,000 dimensions, Conversant has over 160 million consumer profiles that help retailers better understand their target audiences and which channels and types of ads they engage with most. CJ Affiliate integrates Conversant’s customer profiles and data into its platform’s personalization capabilities, including Cross-Device tracking technology. This feature follows customer activity in real time across websites and apps, both online and offline, giving retailers insight into when and how customers and prospects are engaging with their brand, and which publisher relationships are responsible. CJ Affiliate works with both small businesses and enterprises to offer customized solutions with a variety of service levels to meet their needs. For newer SMBs that find it more cost-efficient to run an affiliate marketing program on their own, CJ Affiliate’s account management software enables self-service. “We have self-service tools to help advertisers find publisher relationships that make sense for them based on criteria they set — such as publishers in a certain vertical,” Paul said. For larger businesses and enterprise advertisers, CJ Affiliate provides dedicated account teams for individualized support and service. Understanding that advertisers’ goals are often vastly different, its account teams work with clients to help them achieve those goals with their publisher relationships. 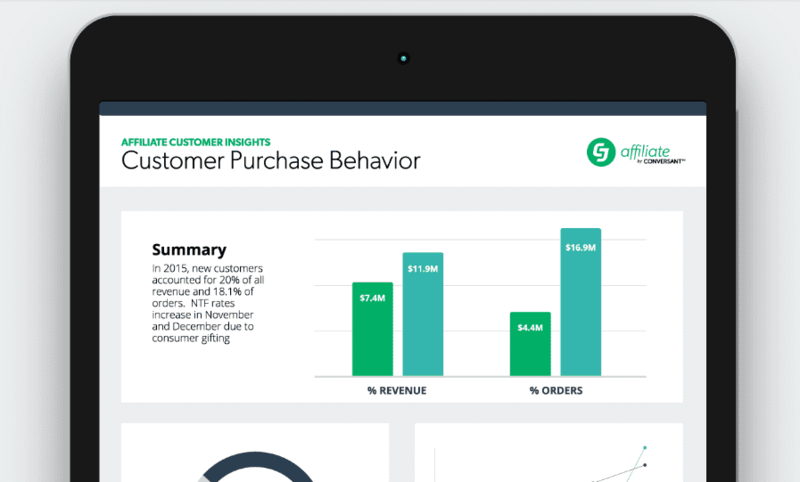 Through customized reports, CJ Affiliate delivers analytics and insights about customer behavior and acquisition. Regardless of size, advertisers who partner with CJ Affiliate have access to a platform with features such as the Advertiser Toolbox interface, Viewthrough Tracking for accurate publisher payment and reporting, Pay-Per Call options for connecting with customers, in-store sales tracking, and lead generation. In its endeavor to better connect and equip all spectrums of affiliate marketing, CJ Affiliate also supports its network of publishers with development teams. Providing software tools, management options, and support for both advertisers and publishers enables CJ Affiliate to help businesses grow their utilization of affiliate as one of the most effective digital marketing channels. Digital marketing is rapidly moving toward affiliates, and the future for affiliates is personalization. Historically, affiliate marketing hasn’t focused on personalization, but CJ Affiliate is taking the lead by continuing to hone its technologies in ways that help advertisers tailor their ads and engagement to individual customers for better results. As the world’s largest affiliate marketing network, CJ Affiliate has the scale and experience in every category to meet the customer identification, partnership-building, and tracking needs of both advertisers and publishers. By fostering mutually beneficial relationships between publishers and advertisers, providing customizable account management, and continuing to innovate personalization tools powered by Conversant, CJ Affiliate is helping advertisers and retailers maximize their efforts and budgets in one of the best-performing marketing channels.